One of the first questions most parents have when it comes to bringing their child to a pediatric dentist is, does it cost more? Bringing your child to a Kansas City, MO, pediatric dentist typically does not cost you any more money than if you brought them to a general dentist. In fact, you will most likely save money. 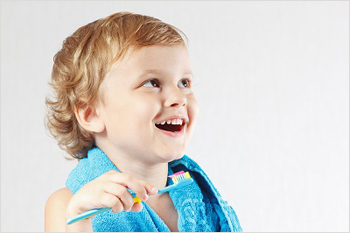 Your child’s first dental visit is not nearly as overwhelming as it may seem now. This is especially true when you opt for a pediatric dentist. Most people find that they love taking their children to a pediatric dentist because they get more specialized care and the experience that is needed when working with youngsters. By bring your child to a Kansas City, MO, pediatric dentist, you will help get your child off to a great start and help provide them with oral health habits and benefits that last a lifetime. Ultimately, this will save money by having less cavities and requiring less dental work in both the short and long-term. The American Academy of Pediatric Dentistry, as well as the American Academy of Pediatrics, both recommend that the first dental visit should take place by the time your child is one year old, once their first tooth has erupted, or whichever one takes place first. Prevention is the first line of defense when it comes to a healthy mouth. Taking your child this young to the dentist is the most effective way to ensure their oral health is off to a great start. To schedule your first visit call at 816.759.0123 to set up an appointment, request an appointment online, or simply reach out via our online contact form.